Remember the good old days when tomatoes used to taste like… tomatoes, with a lot of flavor? In pursuit of longer shelf life, enhanced firmness and disease resistance, modern commercial tomatoes have gradually lost it. 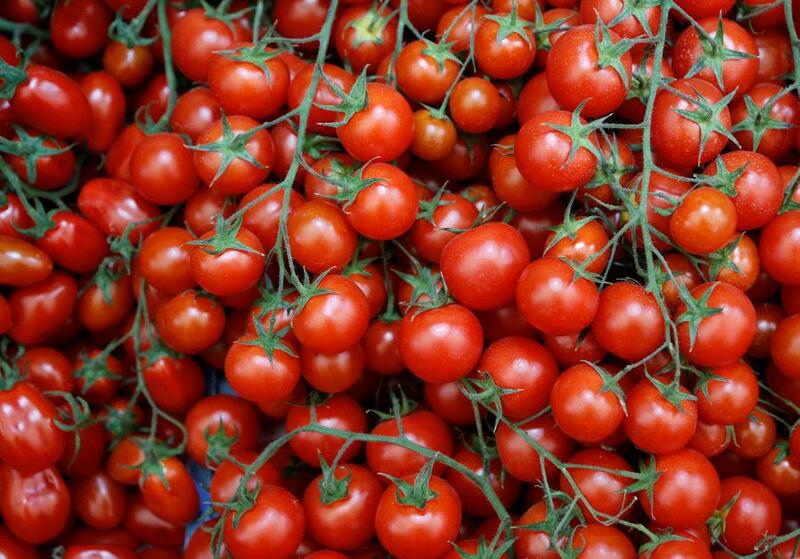 After a decade of research, Hebrew University of Jerusalem researchers, as part of an international team that included US, Chinese and Spanish scientists, have identified the chemical compounds and the functional genes that give a tomato – Israelis’ favorite salad component – its great taste. The study, published in the journal Science, has made it possible to produce tomatoes with their good old flavor, alongside other traits that make them attractive to consumers and longer-lasting for shipment around the world. To launch the research, HU’s agriculture faculty contributed 398 tomato varieties from the laboratory of Prof. Dani Zamir at the Institute of Plant Sciences and Genetics in Agriculture. “The varieties, including modern, heirloom and wild relatives of the cultivated tomatoes, were chosen from a collection of some 8,000 tomato that we keep in a seed bank at the lab,” said doctoral student Itay Zemach from Zamir’s lab. Tomato fruit samples the HU team grew in Israel were sent to all participating research groups, each identifying different components. Doctoral student Josef Fisher of the Israeli team measured and analyzed the sugar content, the weight and other morphological characteristics of the tomatoes, such as size and color; in Spain, researchers checked for volatile compounds responsible for tomato aroma; in the US, researchers conducted a taste test to rate the tomato varieties according to their flavor and other traits; and in China researchers sequenced and analyzed the genomes of the various varieties. Through analysis of the chemistry of the tomatoes, researchers identified 13 compounds associated with good flavor. They realized that modern tomatoes lack sufficient sugars and volatile chemicals critical to better flavor. Those factors have been lost during the past 50 years because breeders preferred to put their focus on other traits, most of which negatively correlated to flavor, researchers said. To study how to enhance the flavor in modern tomatoes, they studied “alleles” – the versions of DNA that give a tomato gene its specific traits. Through a genome-wide association study, researchers identified the locations of the good alleles that allow the production of compounds that contribute to tastier tomatoes. After mapping genes that control synthesis of all the important chemicals, they used genetic analysis to replace bad alleles in modern tomato varieties with the good alleles. Some of these research results were already implemented in the breeding programs of Zamir’s lab. “After testing the varieties at Zamir’s lab, it appears possible to breed for tastier tomatoes with other excellent quality characteristics,” Zemach said.